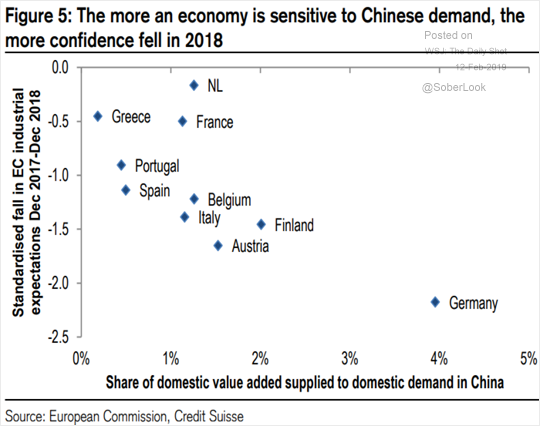 The Eurozone: This scatterplot shows industrial confidence vs. sensitivity to Chinese demand. 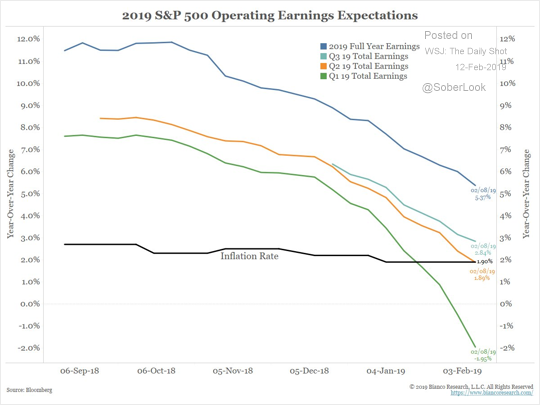 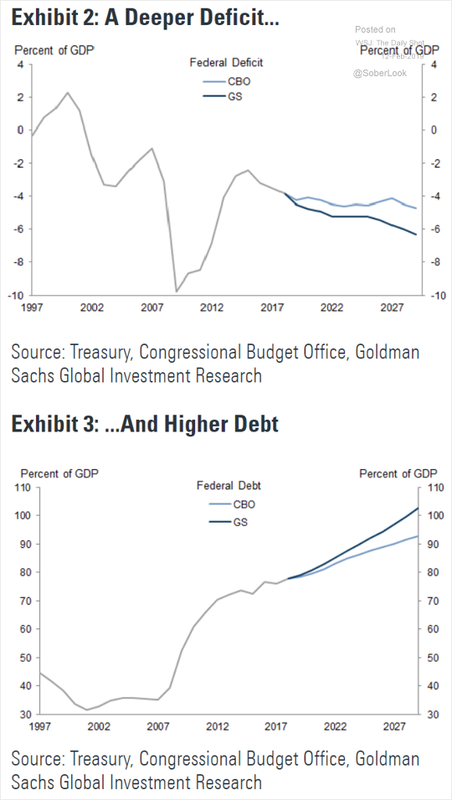 Equities: This chart shows the latest earnings growth expectations for 2019.
Credit: Leveraged finance default rates continue to drift lower. 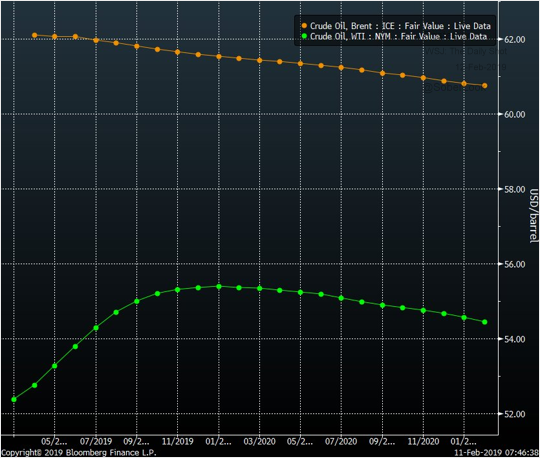 Energy: The WTI curve is still in contango while Brent has moved back into backwardation (negatively sloping curve).